Known as the Enterprise Ground Services (EGS), EGS is an initiative from the U.S. Air Force to shift away from building independent ground systems for every military satellite mission. In the past, each satellite's ground system was siloed with proprietary software. Communications of mission status between ground stations for space situational awareness across the USAF satellite fleet was difficult. Future ground systems based on EGS will feature common core software elements and core frameworks that can be shared among satellite systems to save money, strengthen capability responsiveness and security, and reduce training. The common framework also allows common strategies to reduce vulnerability to cyberattacks, and will reduce the effort required to secure the mission-unique attack surfaces for each new mission. In addition to the ground and flight software for each satellite being different, different defense contractors use language and terminology specific to the functionality of their system. This has led to increased training costs for USAF operations staff as they transition between ground systems. The different terminology also creates barriers to reaching a common understanding of system and operations requirements by the government and contractors. With the EGS core frameworks using consistent and common terminology, contractors will be able to more rapidly understand government requirements, develop the required mission unique components, and deploy new missions, thus reducing the deployment and sustainment costs for new missions. Air Force staff will be able to transition between mission ground systems and quickly understand the mission-unique elements, carrying with them their knowledge of the common elements. In publishing the XML Telemetry and Command Exchange (XTCE™) specification, the Space Domain Task Force (SDTF) at the Object Management Group® received submissions from two U.S. organizations and one from the European Space Agency. One of the biggest challenges in creating a joint submission for XTCE was reconciling the different terminology used by the different satellite communities. A concept as simple as the measurement from an onboard sensor can go by many names: telemetry point, telemetry item, telemetry parameter, measurand, symbol, mnemonic, last reported value (LRV), etc. Consistent terminology in future specifications will aid in rapid understanding and assimilation by the different satellite communities. 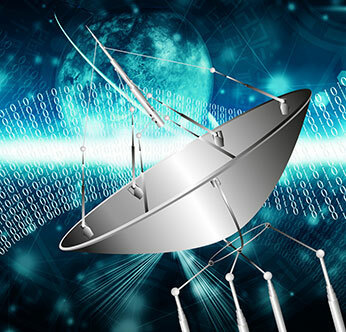 To support EGS, the Space Domain Task Force (SDTF) at the OMG is looking for ways to improve communications with respect to spacecraft ground systems. It is seeking input on standards and best practices for communications between people and systems - including vocabularies, knowledge graphs, ontologies and glossaries that might be consolidated or reused to eliminate ambiguity and improve understanding. Organizations interested in this topic can respond to this RFI on or before February 27, 2017.